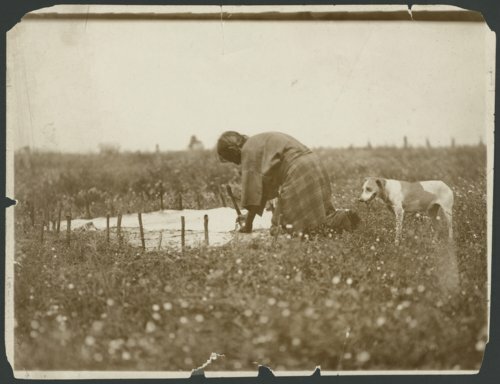 This is a photograph of a Cheyenne woman fleshing a large hide in a field. A small dog looks on. Funds for digitization provided by Mr. Steve Peckel in memory of William Chalfant.